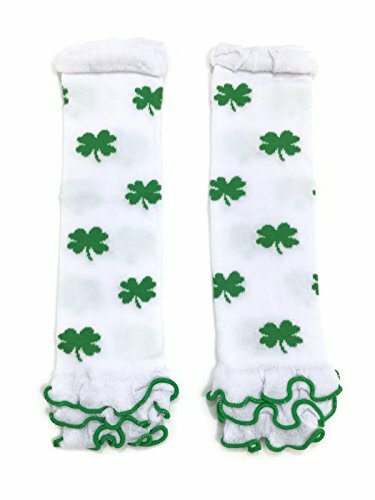 Keep baby's legs warm this St. Patrick's Day (Tuesday, March 17th, 2015) with is completely adorable set of little legwarmers. This set of white legwarmers for baby has an all-over pattern of green four-leaf clovers. The soft and stretchy material is trimmed with cute little green ruffles. 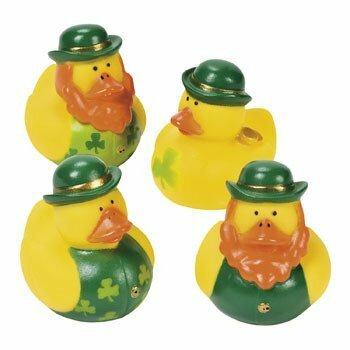 This set would look great with a St. Patrick's Day tutu outfit! These legwarmers are easy on-off and are smaller than a pair of pants for temporary storage when you're out and about on St. Patrick's Day.